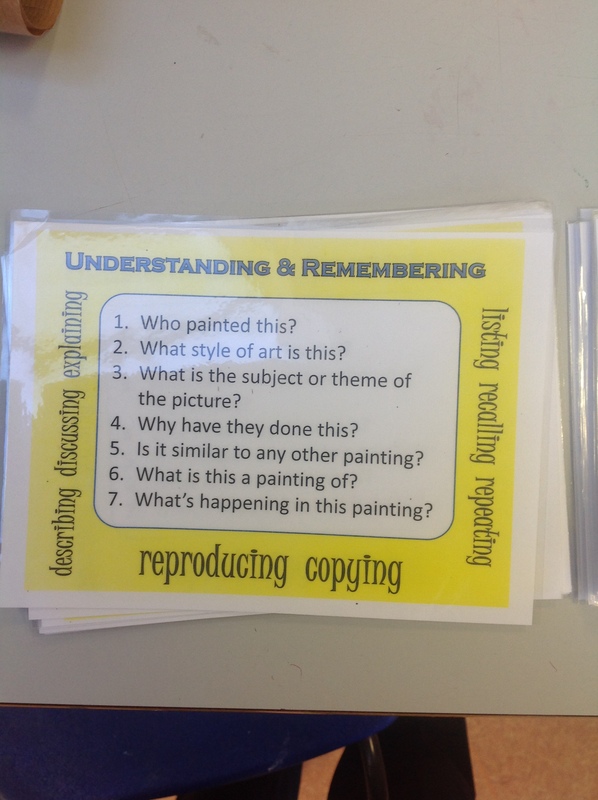 While visiting the art department recently I came across these fabulous questioning cards being used. We have talked a lot about pre-planning questions. 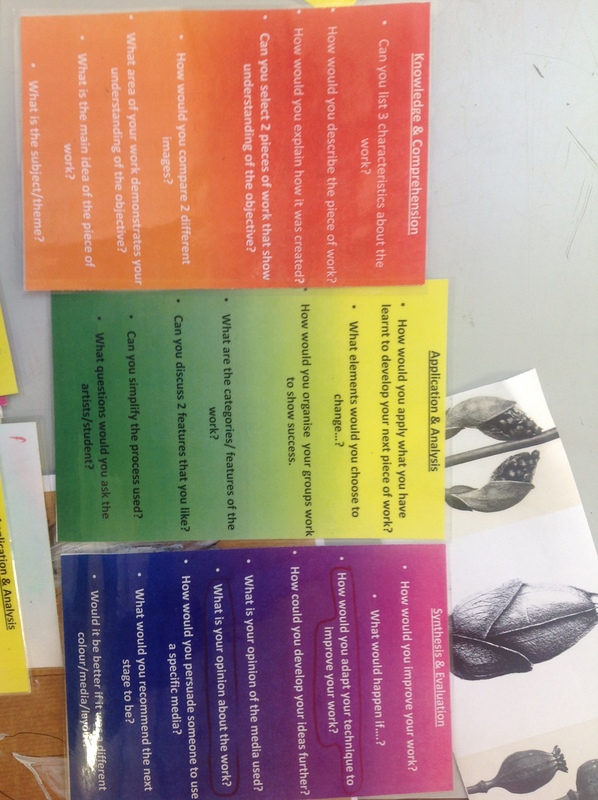 These laminated cards are based on Bloom’s taxonomy and just having them out on the desk can act as a valuable reminder during class discussions. Because they are laminated, they can even be given to students to write their answers on the back. Cards could be handed individually to individuals or groups at various points in the lesson thus differentiating effectively in the process. Many thanks to Jo and Lisa for these brilliant examples. 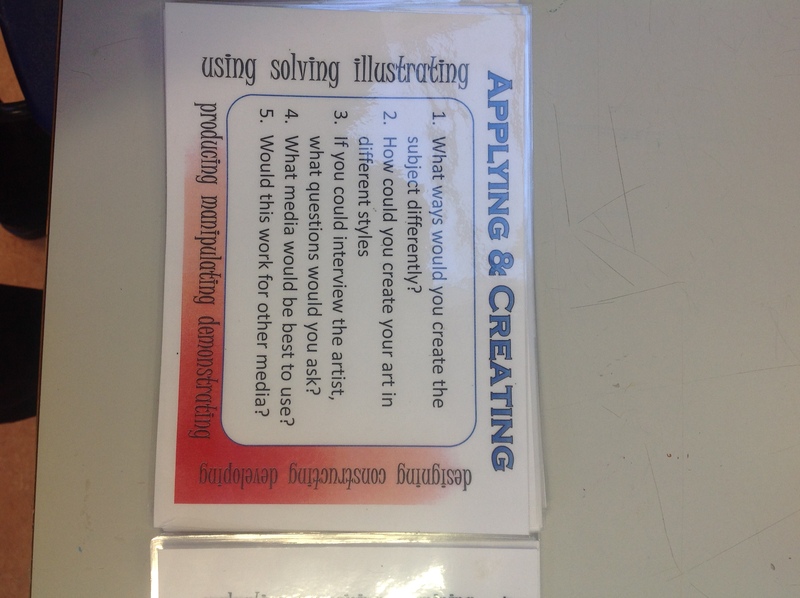 If you want to have a go at creating your own, there are some good summaries with questions related to Blooms taxonomy here, here and here.